You get this message whenever the SAGA process is stuck somewhere, and therefor the resulting file is not created. 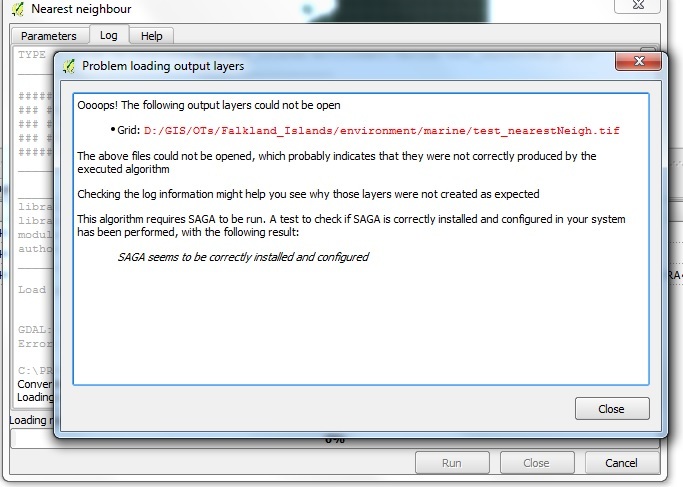 The message tells you also that SAGA is correctly installed, so it must have to do with the data, or the parameters you entered. Usefull hints may come from the log, which is behind the error message box. Just a guess: Are all your layers in the same CRS? That is, when switching On-the-fly reprojection off, are they still in the same place? This is mandatory for any SAGA algorithm that uses more than one layer. Not the answer you're looking for? 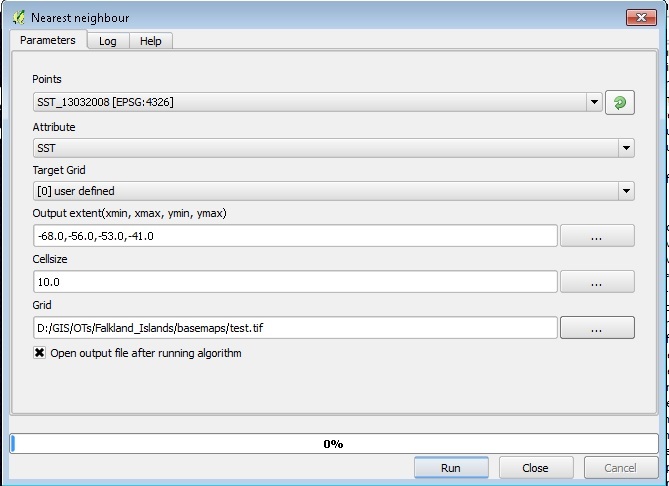 Browse other questions tagged qgis interpolation saga qgis-processing or ask your own question. Does Processing plugin v2.10.1 not recognise SAGA? SAGA IDW interpolation algorithm has been changed?